Ill Met by Moonlight: Hollywood fact or fiction? 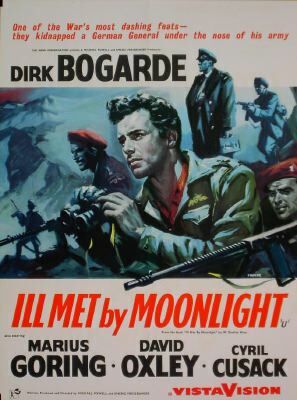 IF YOU HAVE NOT SEEN IT, Ill met by moonlight was a film about the kidnapping of a German General from Crete in 1944. And, yes, yes, we established last week that this film wasn’t made by Hollywood – but it’s all part of the ‘series’! 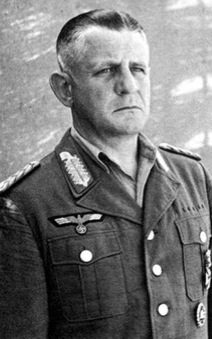 The idea was to kidnap the German General, Freidrich-Wilhelm Müller, who was a particularly nasty commander of the German forces in Crete. He was responsible for hundreds of Cretan civilian reprisal executions and the razing of villages to the ground. He was known as the ‘Butcher of Crete’. 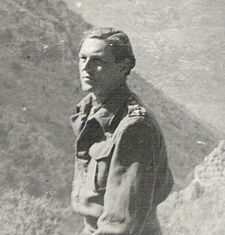 The leader of the kidnappers was a British major, Patrick Leigh Fermor, and his side-kick was Capt. William (Billy) Stanley Moss (who wrote the book of the film of the same name – and probably has the T-shirt ). However, by the time the plan had been organised, Muller had been replaced by General Heinrich Kreipe. It’s probably just as well because, due to Muller’s nastiness, he would most likely have been killed by the Cretans long before Fermor & Co got anywhere near to getting him off the island. It all began on the 26th April 1944. Kreipe was being driven from his headquarters in Archanes to Villa Ariadne (previously Sir Arthur Evans’ villa) at Knossos where he stayed. It was 9.30 at night. Fermor and Moss were dressed in German corporals’ uniforms and waved the car down. The driver was hauled out and hit on the head by Moss, whilst Femor pulled Kreipe from the front seat. By now the remainder of the kidnapping force of Cretans had appeared. Three of them jumped into the back seat with Kreipe wedged between and one of them had a knife to his throat to keep him quiet. In the film, whilst planning the kidnapping, one of the Cretan look-outs was adamant that the car carrying Kreipe was a Mercedes; in fact in 1944, it was an Opel, but I suppose the public hadn’t heard much of that make of car at that time – but everyone knew Mercedes! 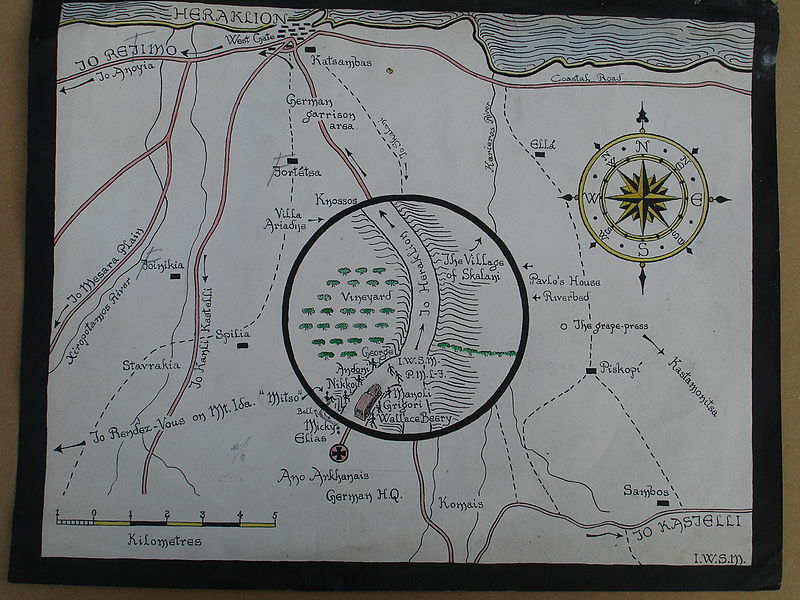 Four of the Cretans set off on foot with the dazed driver, Alfred Fenske, and they were to meet up with the others at Anoyeia. The fate of the driver was not mentioned in the film but he never made it to the meeting place. He was killed because he was too much trouble – not the ‘done thing’ for a British film in the 1950s. The party then went up to Mount Ida, mid-Crete. It was during this trip that Kreipe awoke one morning and looked at the sun shining on the mountain and muttered to himself in Latin, “Vides ut alta stet nive candidum Soracte …” . Fermor recognised it as one of the few Odes of Horace that he knew and continued the quotation in Latin . The two of them had a bonding. The plan was to come due south from Mount Ida and pick up the boat on the beach but it transpired that the beach in question was swarming with Germans. 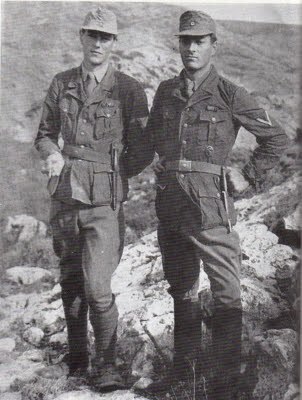 Fermor had asked the BBC to announce that the kidnappers had got Kreipe off the island and were on their way to Cairo. That way the Germans would think they had left Crete so no point in searching for them. Unfortunately, as in most plans, incompetence creeps in/communications fail and the radio message announced that General Kreipe had been captured and “is being taken off the island”. This told the Germans that he was still there so searches continued in earnest! The rendezvous was then changed to Peristeres beach near Rhodakino. In the film, at the end, Kreipe tries to bribe a young Cretan boy, Niko, to go to the Germans who are guarding the Peristeres beach: in the first place there were no Germans on that beach; in the second place, Kreipe only spoke German and French which none of the Cretans could understand. So that didn’t happen. What was true was that the signal to the boat was to be SB in morse code and neither Fermor nor Moss knew morse code (well both knew S for SOS but neither knew B!). How could you make such a blunder after all the plans!! 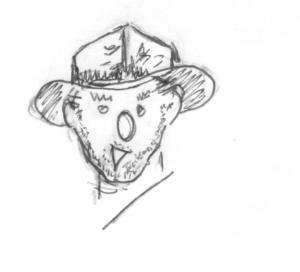 The man who came to their rescue, in the film Sandy (Rendel), was, in real life, Dennis Ciclitiras (credit where credit is due). Kreipe was taken off the island on 14th May, 18 days after his capture, and sailed to Cairo. Kreipe was sent as a POW to Canada (near Calgary) and later transferred to Wales (Island Farm near Bridgend), then finally, Shugborough Park in Staffordshire. 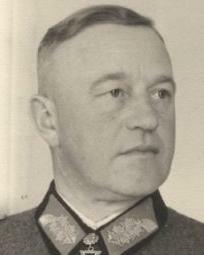 He was repatriated to Germany in October 1947 and died in Hanover in 1976, aged 81. 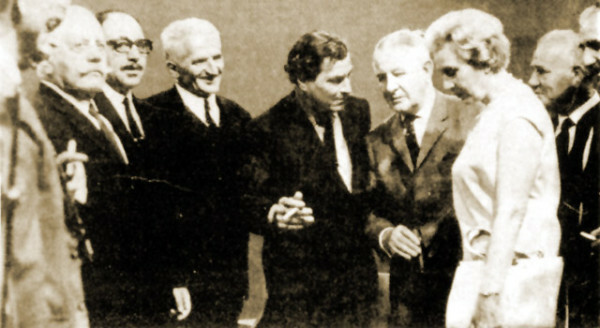 In 1972, he attended a televised reunion with Fermor and some of his Cretan kidnappers (sadly Moss had died in 1965) . When asked if he had any hard feelings he said no, otherwise he wouldn’t be on the show. Good loser! Click here for the TV show. 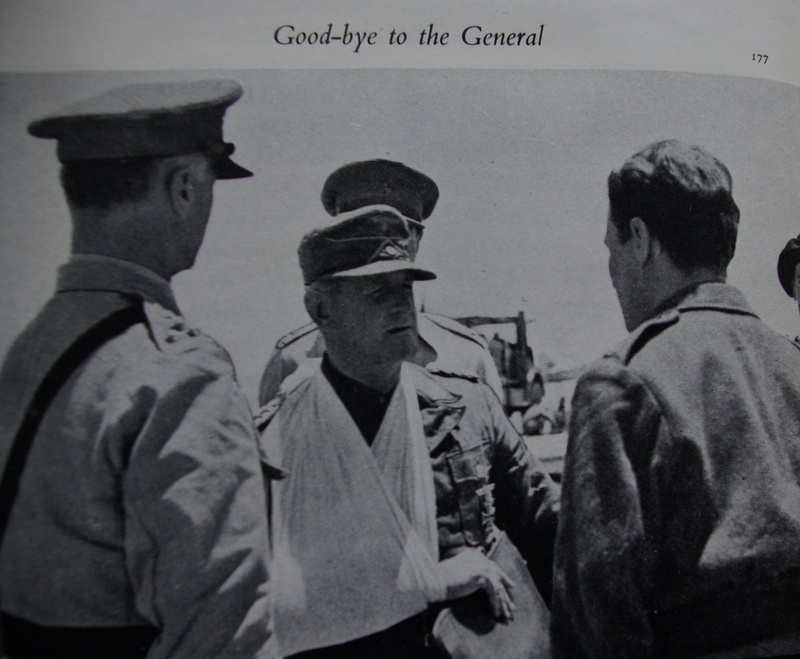 See also Patrick Leigh Fermor’s own recent book on the action, Abducting a General, John Murray, 2014. At first there were no reprisals as the new Commander, General Brauer, disliked Kreipe and seemed to consider the kidnapping somewhat amusing. However, when Müller returned to take Brauer’s place, it was a different story. The German reprisals included the burning of Cretan villages in the Amari valley, killing over 450 people. This was half (if not wholly) expected (despite Fermor’s note left in the car) and some considered the venture not worth the deaths that resulted. Others have suggested that there were other reasons for these reprisals which is why the Germans took so long to carry them out (the kidnapping took place in May, reprisals were in August). It has to be said that it had neither tactical nor strategic value, just good propaganda. Hmmmm …. I still have my doubts that it was ever a good idea bearing in mind the reprisals that would obviously follow. I was recently told by a colleague of mine that a friend of his who knew Fermor was told by Fermor (who was living in Greece) that he (Fermor) could never go back to Crete because the German reprisals for capturing the general there had sparked a traditional blood feud against him as the indirect author of villagers’ deaths. And how the rivers are frozen by the sharp cold? 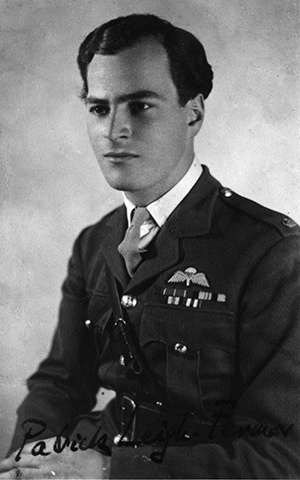 Patrick Michael Leigh Fermor OBE, DSO, was knighted in 2004 and died in 2011 aged 96. Next week: Let’s go back to the previous war ….. ‘K’ for Klot class submarines – a look at the disastrous K class WWI subs. I recently discovered the unrobbed tomb of the 3rd century BC Macedonian ruler, Philipidus Windsoros (sometimes known as Phil the Greek). He had around him the usual treasures to show off his power and wealth in life. There was one interesting gold casket inscribed ‘due debtos’ (due debts) and containing four clay pots. Clearly, dignitaries who had owed Philipidus money were happy to honour these debts on his death. In the first pot there were 30 gold coins and a note on papyrus I translated as stating that this was the sum owed to Philipidus and unpaid at his death – now settled, signed Leodinos of Sparta. The second pot had 50 gold coins and a similar note signed Xernes of Persia. The third pot, 70 gold coins and a similar note signed Konon of Thebes. The fourth pot contained a similar note signed by Joseph of Israel, but no coins. Instead another piece of papyrus was sown to it with the words ‘150 gold talents’ written on it, and signed by Joseph of Israel ……… It was a cheque.